At Charitable Allies, we look out for your charity’s operations so you can focus on the people you serve. We want to be your partner in effective and efficient compliance, donor stewardship, risk management, financial transparency and litigation. We share your passion for improving the world. As a nonprofit organization, Charitable Allies is uniquely qualified to stand shoulder-to-shoulder with your charity – as an advocate, an advisor, a back-office extra pair of hands and, when necessary, as a litigator. Robert Miller graduated from Indiana University Robert H. McKinney School of Law in 2017 with a certificate in Corporate and Commercial Law. 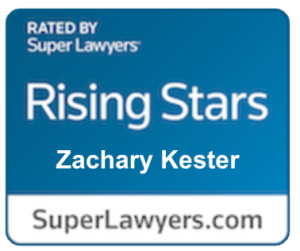 Zac Kester’s legal and nonprofit career has been devoted to helping charities, as is much of his family life. Kristen Revall’s passion for the legal field led her to IUPUI where she graduated with a degree in Criminal Justice. A nonprofit lawyer and volunteer for nearly three decades, Barry Bostrom has a soft spot for people with intellectual disabilities. Michael Nelson is the President of Nelson Law Group LLC. Brenda serves on the executive leadership team at the Christian Theological Seminary where she has worn a variety of leadership hats, including VP of Networking and Recruiting, General Counsel, and VP of Student Operations. A certified public accountant and licensed attorney, Ted advises exempt organizations of all sizes on a wide range of issues. Chris has served at the Neighborhood Christian Legal Clinic since September 2008, when he began working as a housing and consumer law Staff Attorney. Megan McGuire is the CEO of Ascent 121, an Indianapolis agency that provides trauma recovery for teen survivors of human trafficking.